The Celestron 82050 TrailSeeker Tripod is extremely light weight and portable perfect for supporting spotting scope, binocular, camera, or small telescopes. 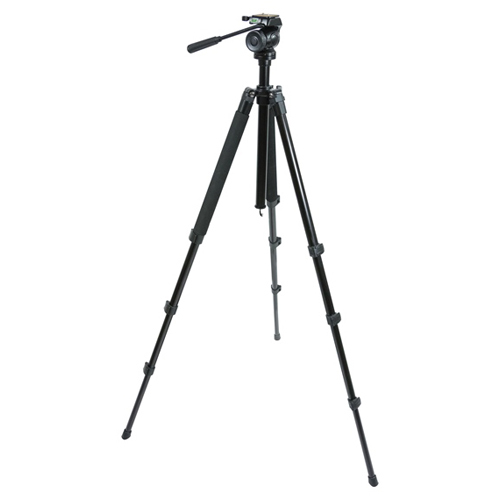 This tripod comprises fully adjustable aluminum legs that can be shortened or lengthened, as well as set to different angles, and it also features a 2-way fluid panhead with quick release plate. The center column consists a retractable hook and can be extended when additional height is needed. The TrailSeeker Tripod comes with padded wraps on two of the legs, providing protection for your shoulder when carrying and making adjustments comfortable during cold weather. The legs also feature rubber feet to keep them from sliding, aiding in stable viewing. 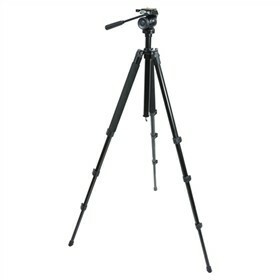 This tripod offers bubble levels, located on the top of the tripod as well as on the side of the pan head, and a tripod carry case. The Celestron Tripod, TrailSeeker Fluid Pan has many exciting features for users of all types. You can extend the lifetime of your Celestron Tripod, TrailSeeker Fluid Pan with the purchase of a FactoryOutletStore Factory Protection Plan. See the Celestron Tripod, TrailSeeker Fluid Pan gallery images above for more product views. FactoryOutletStore stocks a full line of accessories like Celestron 93626, Celestron Field Guide to Birds of North America, and Celestron LensPen - Optics Cleaning Tool for the Celestron Tripod, TrailSeeker Fluid Pan . The Celestron Tripod, TrailSeeker Fluid Pan is sold as a Brand New Unopened Item.